Rodney Mitchell, the new owner of the Blawenburg Cafe, approached MDB about remodeling the shop’s location at a busy intersection. This classic country store had been serving the community for more than 100 years. Rodney’s goal was to continue that tradition while encouraging customers to linger with a broadened menu, comfortable seating and a cafe atmosphere. We crafted a design that would reinvent the space while paying homage to its history. 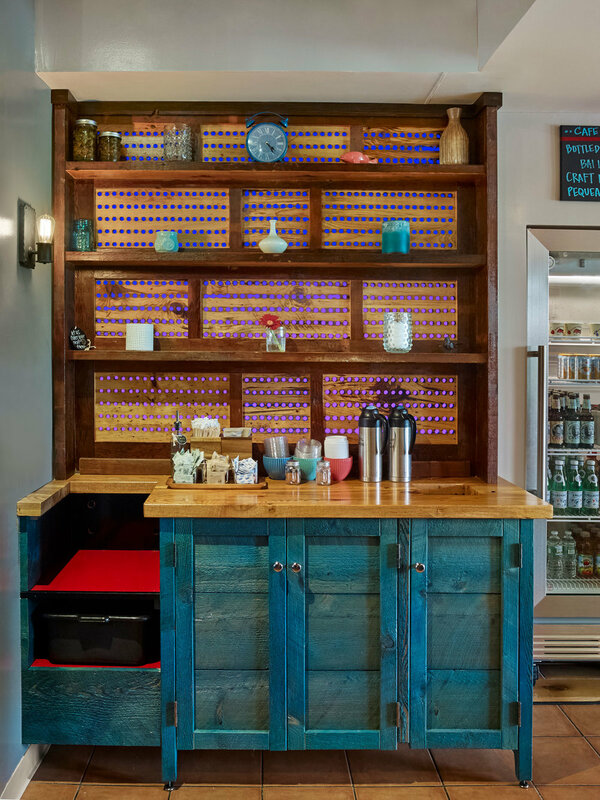 We used local wood for counter tops, an old elementary school slate chalkboard for the menu board, and salvaged ammunition cases to serve as the back panels of a condiment bar. The cafe benches are built of local reclaimed oak and 200-year-old attic floorboards form the wall paneling. To offset the abundance of reclaimed wood, we added a splash of color by dyeing some of it electric blue. 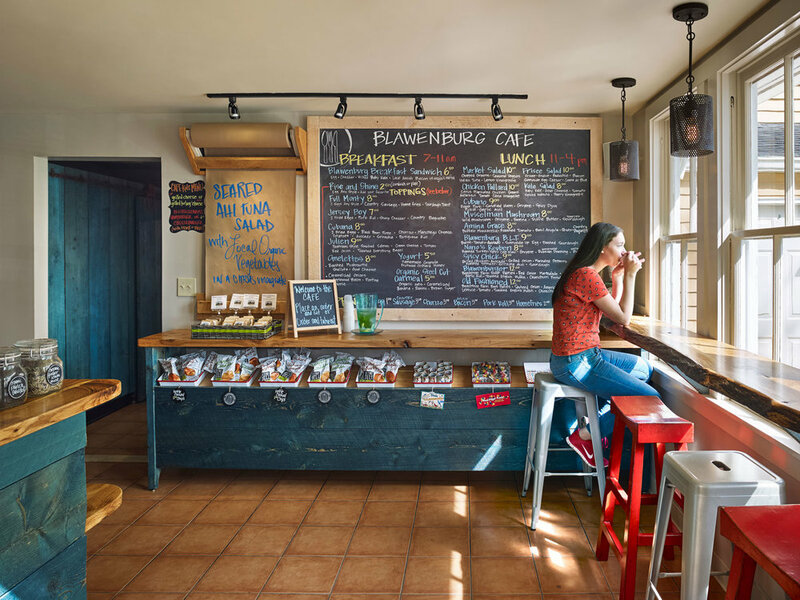 The store reopened as the Blawenburg Cafe and now serves as a hub for regulars and visitors to enjoy local, seasonal and sustainable meals–with Jersey pride.